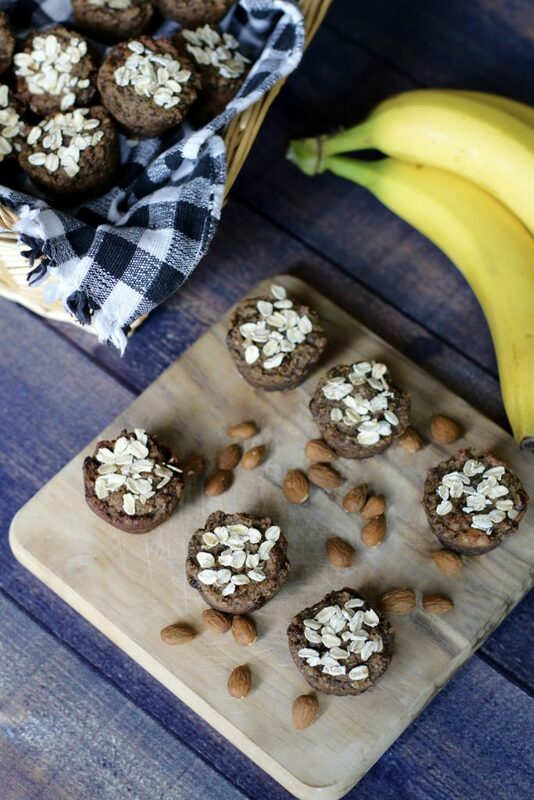 Looking for a perfect on-the-go, GLUTEN-FREE and VEGAN breakfast recipe? Well, you came to the right place. 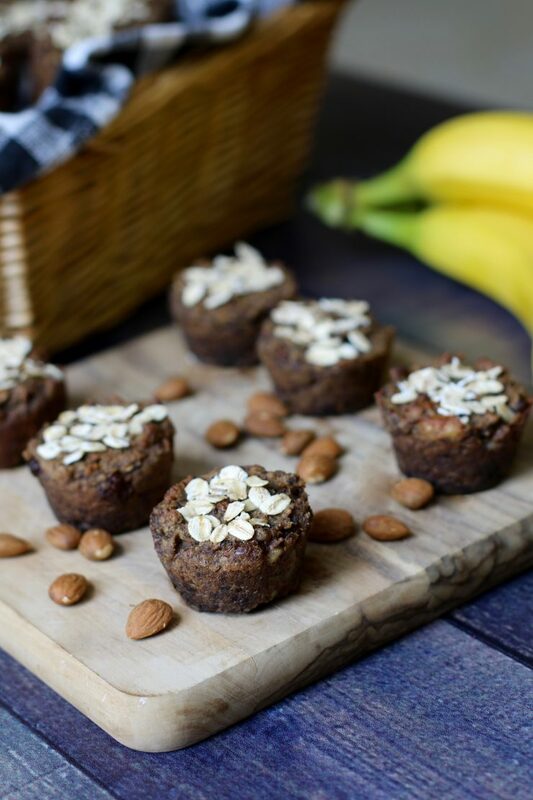 These healthy mini muffins not only taste delicious, they are simple to make and super nutritious. They also make a great post run snack! I have been beyond busy lately and if you can tell, I only did 2 posts last week. It looks like that will be the case for this week as well. The weekend getaways, 4 children, wedding planning and training for a marathon is just too much to handle. Hopefully, I will get back on track in the next few weeks. I don’t know about you, but mornings definitely are extremely hectic and somewhat chaotic. Trying to get 4 kids dressed for school or camp, finishing up some homework, and planning a run makes creating a meal extremely difficult. Sometimes it would just be easier to make a breakfast that is on-the-go. 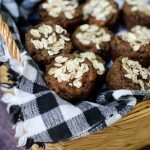 These mini muffins are a great option! There are 2 reasons I stumbled upon creating this recipe. #1 I already mentioned my crazy, hectic morning and #2 I had enough almond pulp from making homemade almond milk that I could feed a small country. 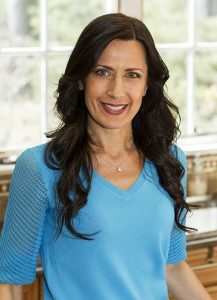 Almond pulp is high in protein and fiber and I did not want to compromise its healthy goodness by adding refined sugars or an inflammatory ingredient like dairy. I also did not have a lot of time on my hands since I was leaving for another weekend getaway. Yes, 2 weekends in a row, but this rarely happens! So, mommy guilt has me making something fun and simple that my boys will enjoy before we leave. Let me tell you how easy this was to make!!! All I used was my food processor and muffin tins and in no time, we were eating a moist, delicious treat. I was able to also pack a few for the kids for the ride to camp and boy did they love that! Now, of course I had to add substitutions so my older son would be able to enjoy this healthy delight. I chose flax meal and chia seeds to replace the egg which are a great source of omega-3 fatty acids, essential minerals and vitamins. I felt the combination of bananas and raisins added enough sugar for my boys and I decided to only add 1 tbsp. of maple syrup. Although my recipe says 2 tbsp., I will leave it up to your palate to decide what range of sweetness works for you. If it were just for me, I would add 2 tbsp.. 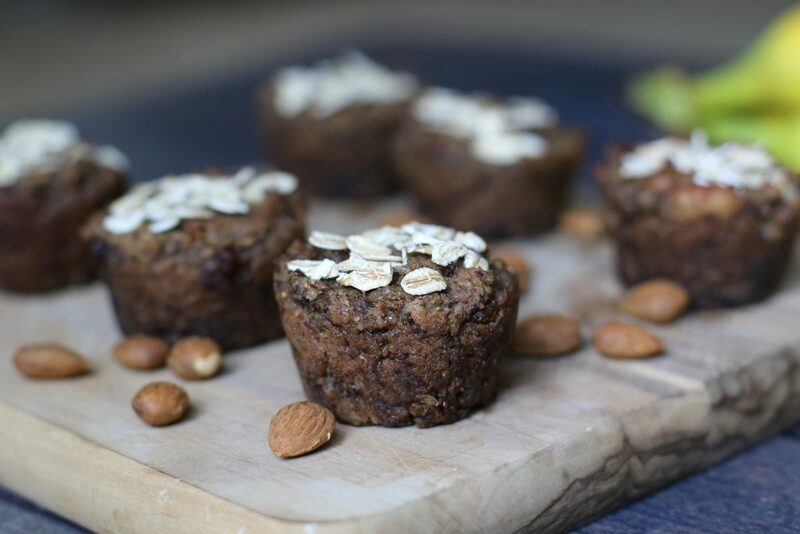 The walnuts give it an extra bit of texture which balances well with the moistness of the muffin. I highly recommend trying this recipe. 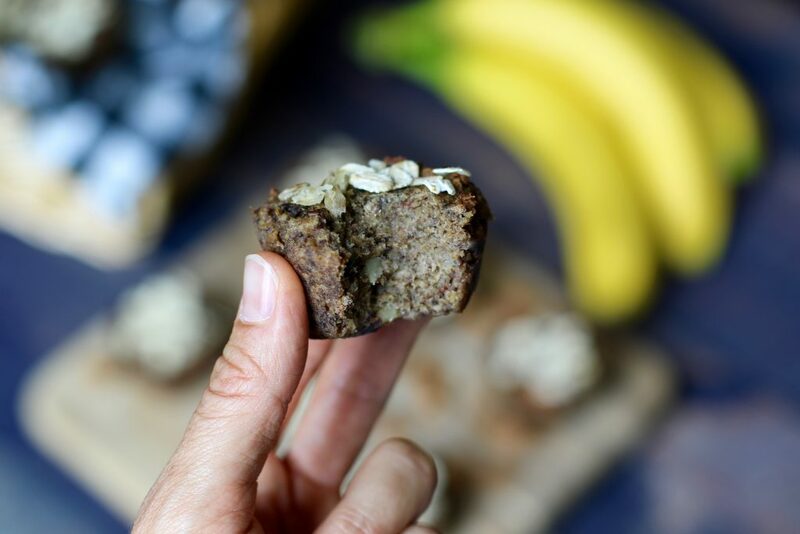 These breakfast muffins make a perfect on-the-go healthy, gluten-free and vegan treat. 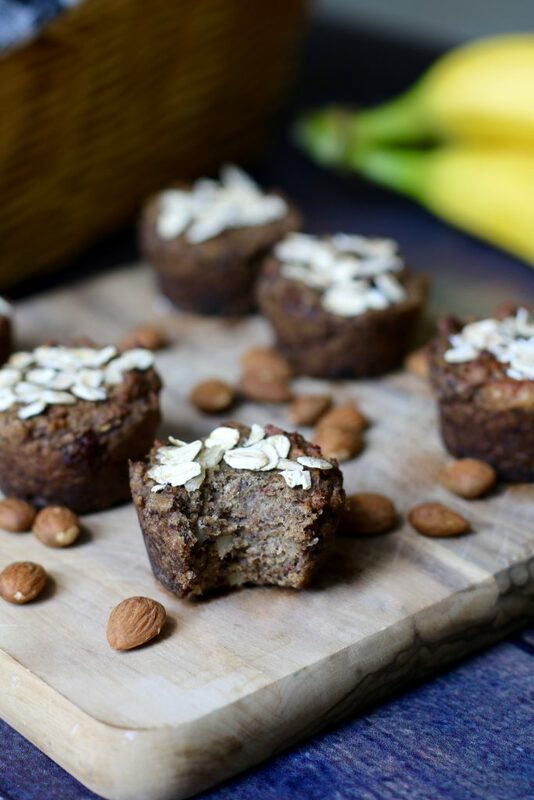 With a few ingredients you may already have in your cupboard, you will be eating a nutritious delight in no time. 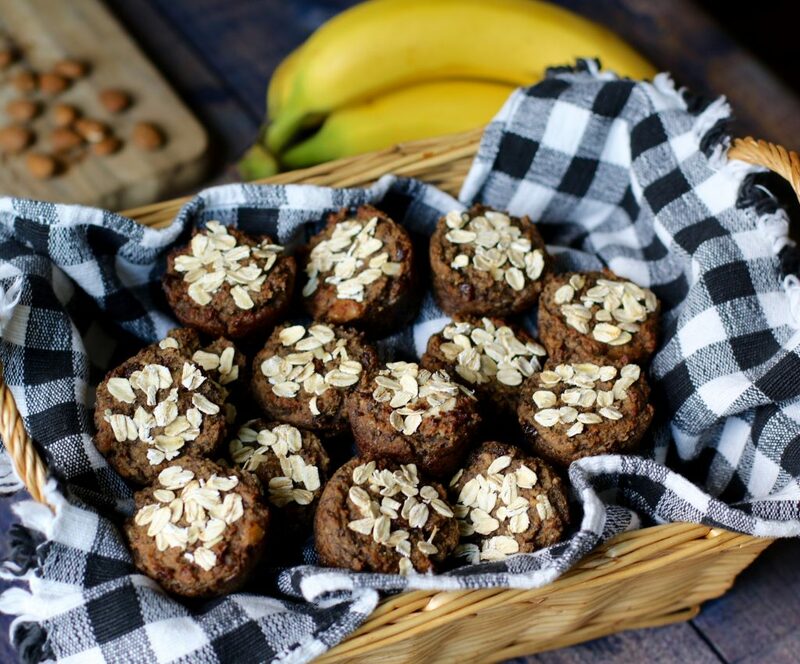 These muffins also make a great post run snack! 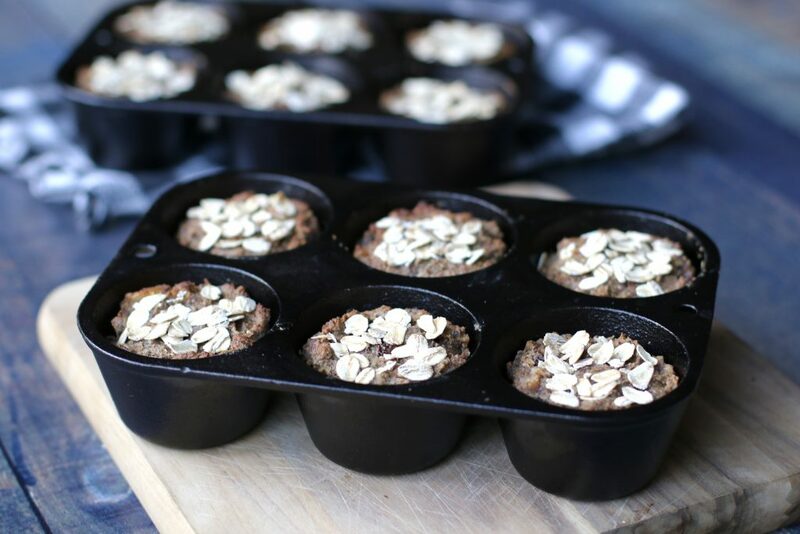 To make the flax meal egg, combine flax meal and water together in a small bowl and set aside for 5 minutes. Add all the ingredients into a food processor or a high speed blender except walnuts and raisins and process until the batter is smooth. Mix in the walnuts and raisins until combined well. Pour the batter into a muffin tin coated with oil. I like to use coconut oil. Bake for about 15 minutes or until toothpick inserted in the middle comes clean. Remove from oven and let rest for about 5 - 10 minutes. Store in an airtight container for up to a week or freeze for longer storage if they last that long. Enjoy! Do you have any healthy snack ideas? Next Post Steamtown Marathon Training 2016: Week 5 – Happy Birthday Chris!